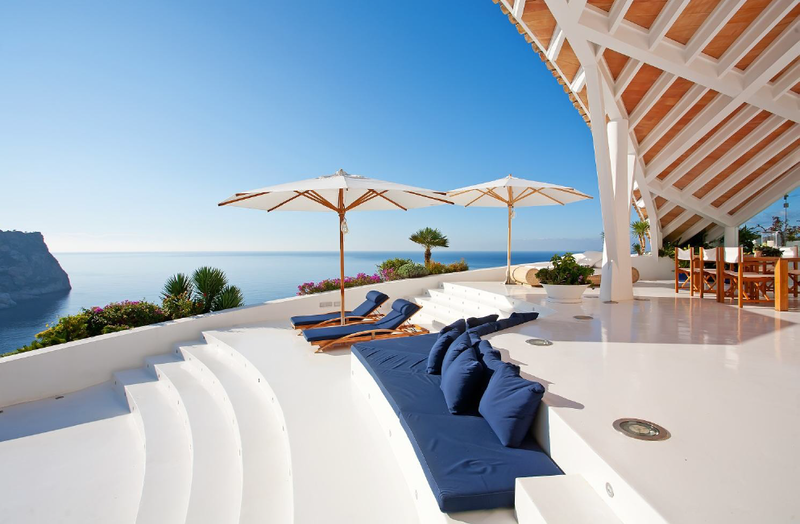 When it comes to luxury houses in the Mediterranean, property buyers are spoilt for choice, but there's a reason why Mallorca remains so popular: it ticks so many more boxes than other destinations. 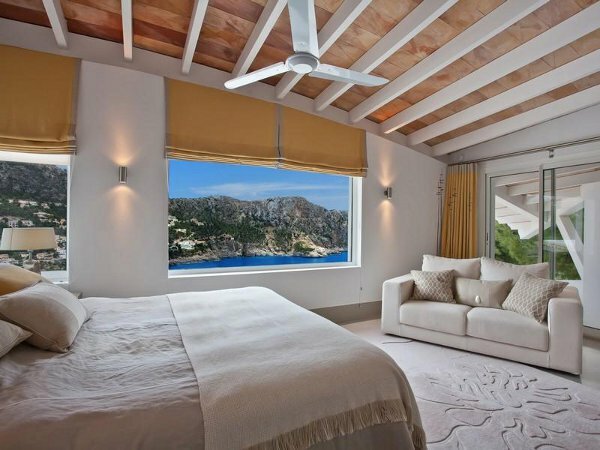 Shaped like a bird in flight, this fantasy villa, baptized " The Rockstar" is perched on the highest point of Majorca's south-west coast on the La Mola and looks majestically down to the fishing village of Puerto de Andratx and over the sea to Dragonera Island. 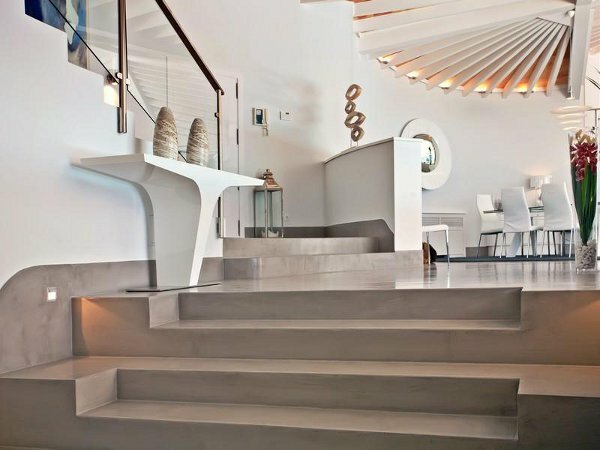 It is the work of the Uruguayan architect Alberto Rubio, who moved to the island when he was 25 and has since built 20 properties here, all with white roofs and undulating curves. 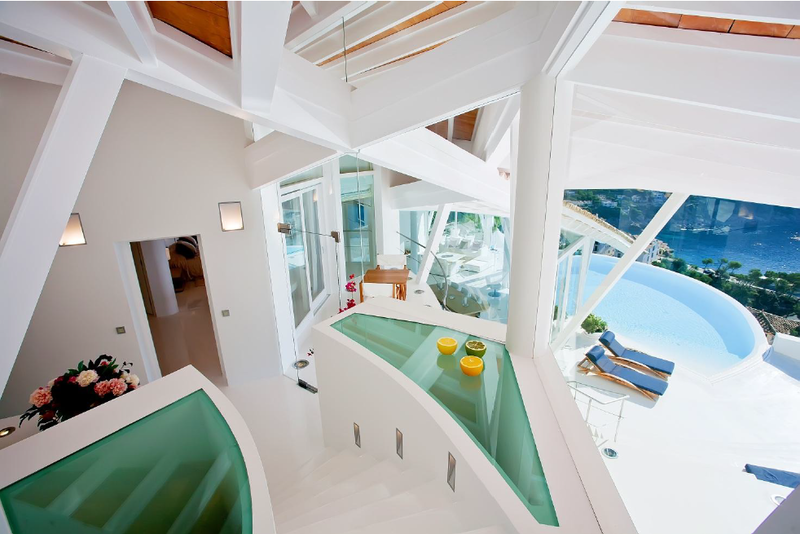 The architecture is meant to mirror the wings of white seagulls in flight. 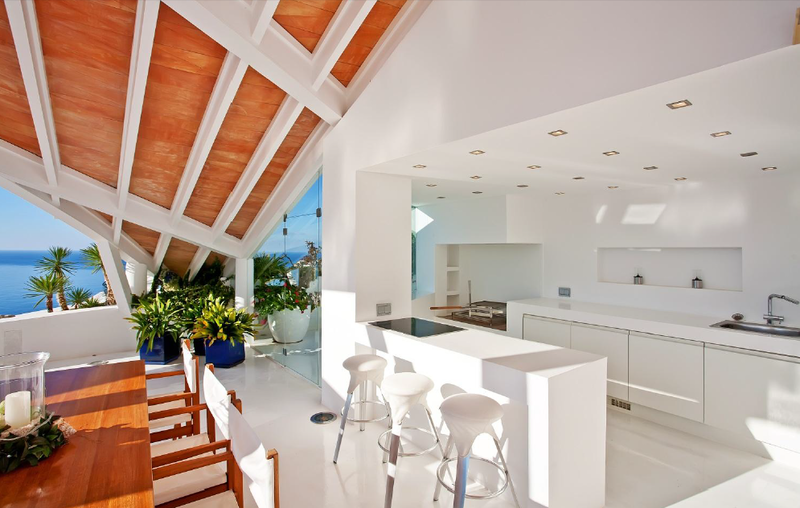 The glass walls, polished concrete floor and minimalistic furnishings give a light and peaceful atmosphere. This villa is Rubio's masterpiece. The building comprises an entrance hall, a large living room with fireplace, a dining room, fully furnished kitchen with breakfast area and six bedrooms. From all these rooms you can enter the large terrace and magnificent infinity pool enjoying the alluring beauty of the Mediterranean Sea.